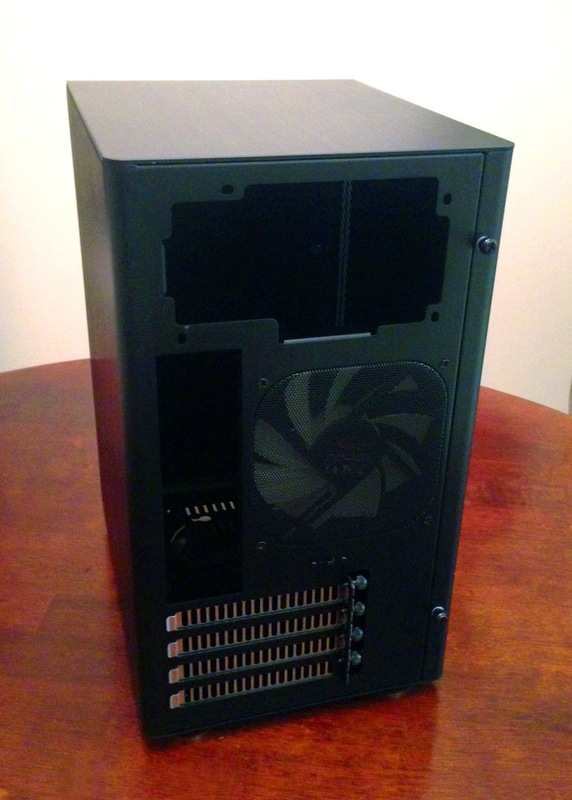 The Rosewill Legacy U3 is a small form-factor micro-ATX case. (micro ATX are the motherboards that are slightly smaller than standard ATX cases for those of us that don't plan on having triple SLI graphics cards or need numerous PCI-e slots.) The Legacy series also includes smaller mini ITX cases and larger mid-tower cases, depending on your space requirements. I'm not exactly sure why it's called Legacy, as these towers are sleek, modern and some are even forward thinking enough to abandon the optical drive. 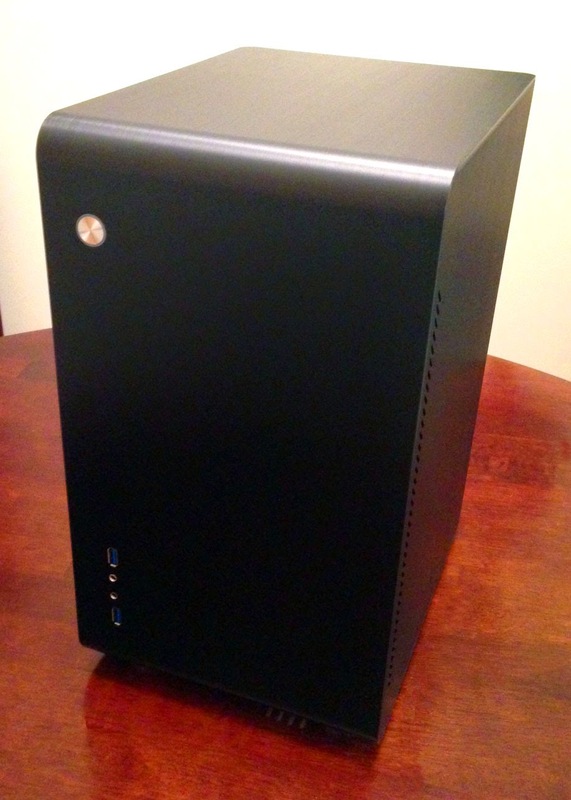 The Legacy has some of the smallest dimensions I've seen for a micro-ATX case, measuring a mere 8.19" x 10.63" x 14.13" (W x D x H). It's still large enough to fit a typical power supply and most full-size graphics cards (up to 260mm, or about 10.25"). 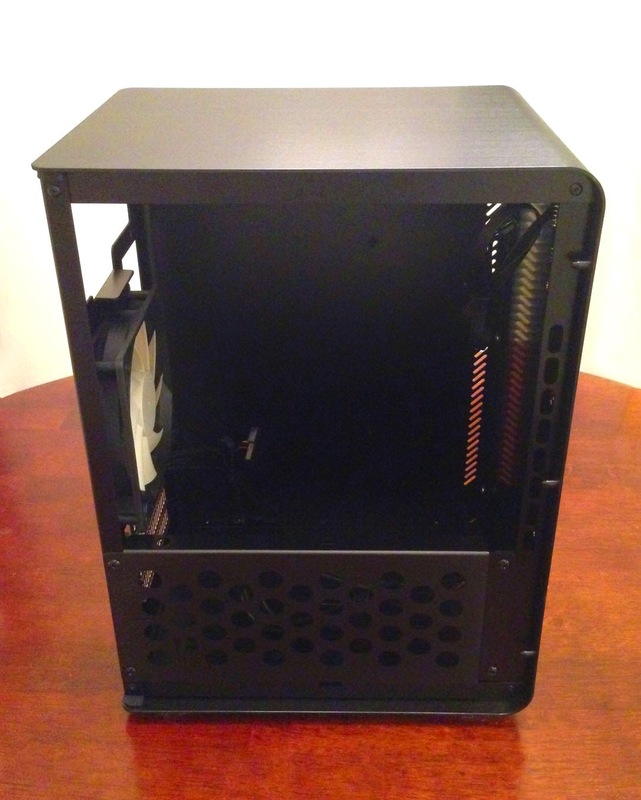 While assembling a PC in a mid-tower (or full tower) is typically a simple, straight-forward affair, with micro ATX cases, one has to think a bit strategically on which piece is installed and in what order, otherwise you end up with clearance issues and have to remove parts (no one likes that!) In addition, certain cables that attach to the motherboard may become unreachable by hand once certain parts are installed. The reward when you're done is you have a more portable, less space consuming system. Observing the front of the case, the U3 is sleek and minimal, no optical drive bay, no swing open door, no fan portholes... it looks a lot like something Apple would sell. 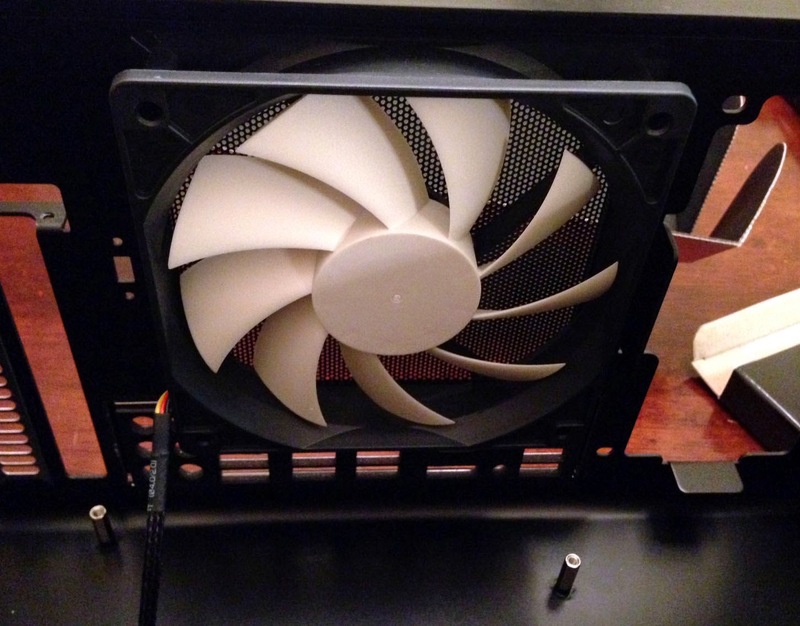 In the back of the case, we see the typical cutout for the power supply up top, the slot for the motherboard input section, four holes for PCI-e cards, and a single 120mm fan. Also interesting to note is that the screws that secure the PCI-e cards are actually on the outside of the tower. I assume this was a design choice to minimize the size or increase the length of the graphics card the unit could accept. From the side of the unit, the only unusual thing to be found is a removable ventilated sheet of aluminum that is used to secure a full size hard drive. First thing first was to remove the stock fan and drop in something with a bit more personality, the Coolermaster Sickleflow. The Sickleflow comes in a number of LED colors and is a nice compromise between sound level and cost. You'll also notice I removed the rudimentary fan switch, I felt that between the unnecessarily long wiring and minimal functionality, there wasn't much of a point. I opted to sleeve the Sickleflow fan cable with black techflex to cover up the silver color, which didn't really match anything. With the Sickleflow in place, the motherboard could be secured in the case via the five standoffs. I found it odd that the manufacturer only included five standoffs and not more. The areas where others would have been screwed in place were supported by nylon standoffs instead. The standoffs are relatively long, so I was able to run a few wires under the board for the sake of wire management. After this, the power supply was carefully sat in place and secured with a retaining bracket. 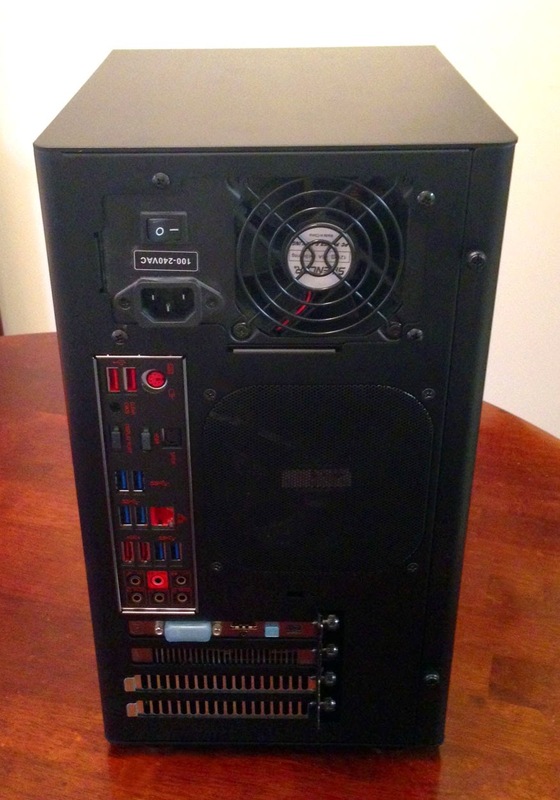 This was an older PC Power and Cooling 750 Silencer unit, so no modular cords. Because of this, the unused cords had to be tightly zip-tied to allow air to the ventilation holes. 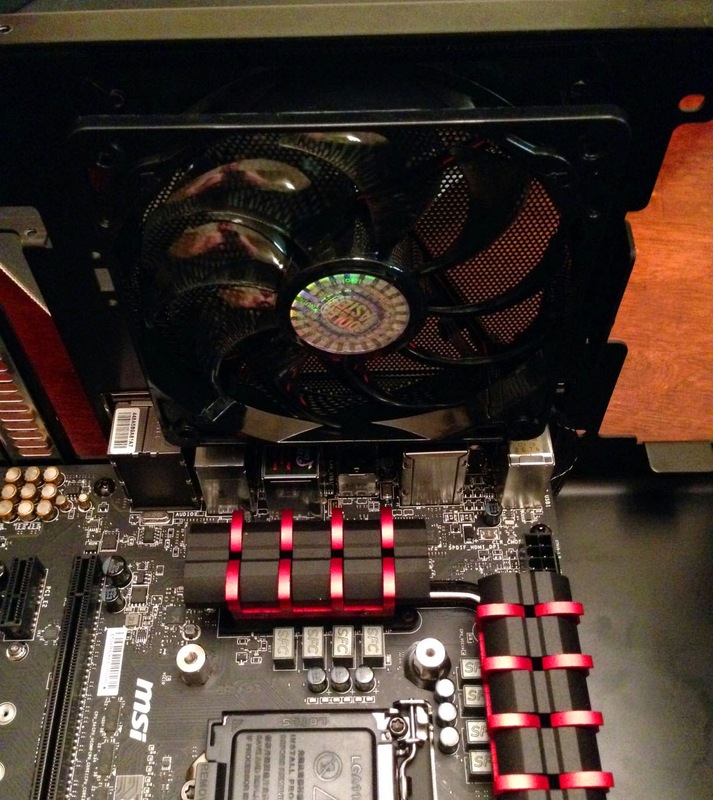 After this, the venerable Cooler Master Hyper 212 EVO was installed without the fan. Then the DDR RAM was secured, then the fan on the EVO was plugged into the motherboard, then the fan could be attached to the heatsink. Finally the graphics card, a Radeon 7850, and the hard drives were installed. 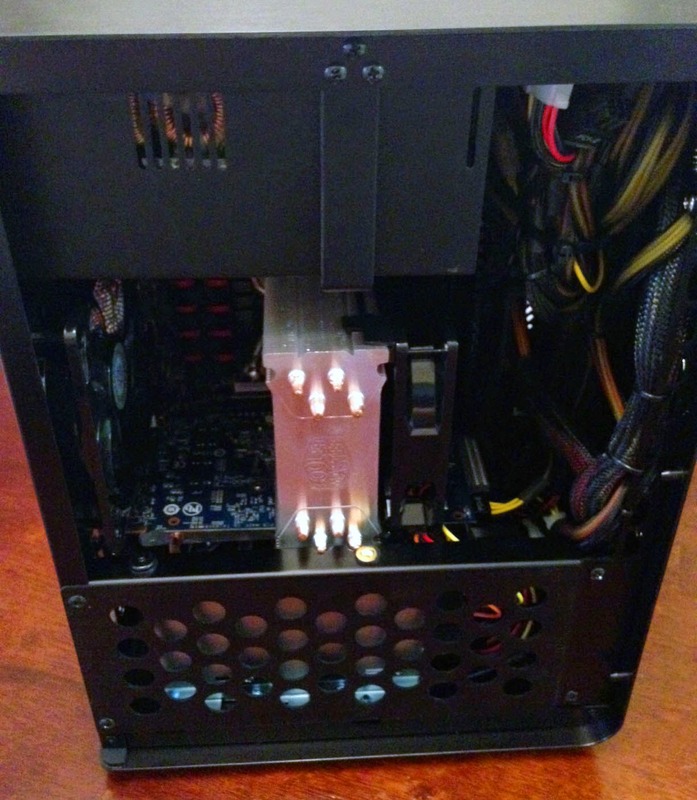 The EVO provided clearance issues for the typical hard drive setup, the ventilated aluminum piece that the full size hard drive attaches to required some minor dremeling, and the full size hard drive needed to be mounted to the bottom of the case. The SSD was then installed on brackets and installed on the aluminum piece. With everything in place, you can see just how tight everything is. Below, if you look closely you will see the two small dremeled areas that narrowly clear the heatpipes on the EVO. And here is a photograph of the back with everything in place. I'm curious to see how warm this case gets when running some demanding programs over long periods. I'm hoping that it doesn't get too bad, as the processor is a low-wattage Core i3 Haswell (54 watts). Overall I'm pretty pleased with the Legacy U3 and would recommend it to space conscious PC enthusiasts. It's got sleek modern looks, the aluminum has a nice solid feel to it, it's lightweight at only 5.4 pounds, the USB 3 ports up front are easy to access, and there is ample clearance for video cards. 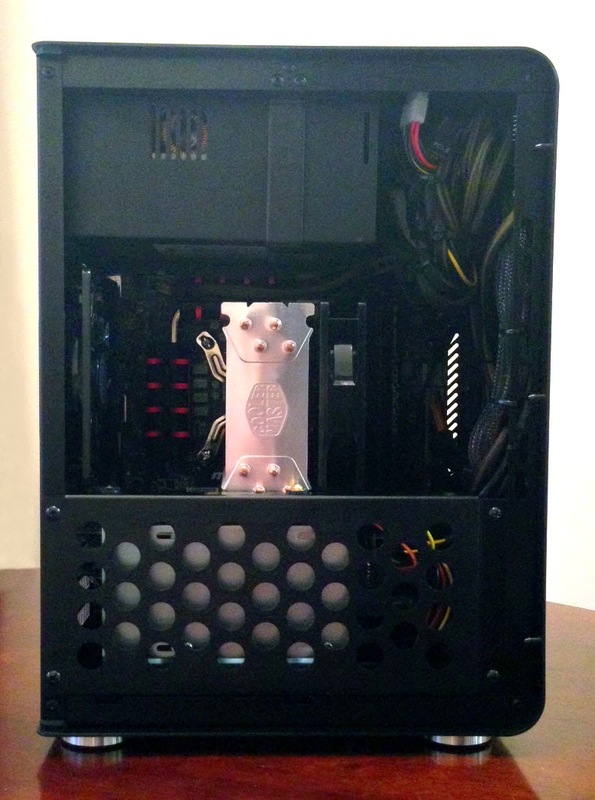 I would have liked to have seen an option for fan mounting on the bottom of the case to get some additional airflow. Of course it's easy to add a hole if you want to, but then you'd have difficulty if you later decided you wanted to install an SSD there instead. Hopefully this review helps people on the fence about whether they'd like to pick one up or not.